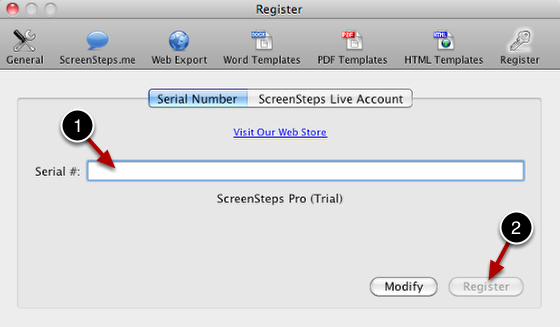 Enter your serial number in the Serial # field (1). 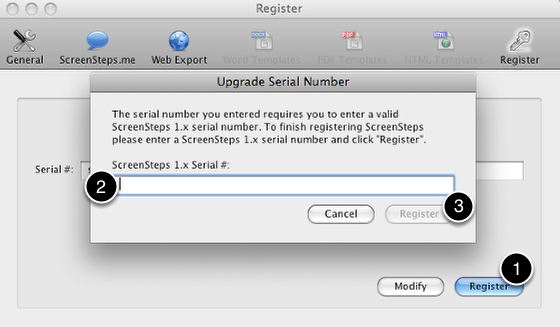 The Register button will activate when you have entered a valid serial number. 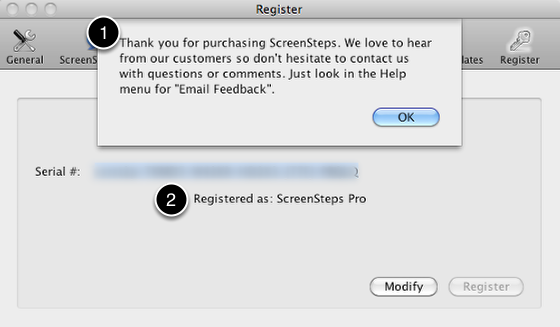 After clicking the Register button a thank you dialog will be displayed (1) and the license type will appear below the serial number (2). 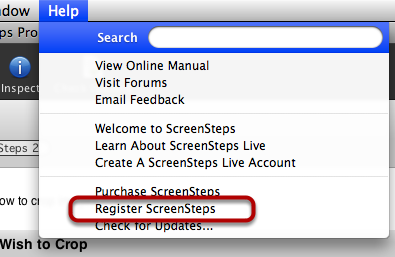 If you are upgrading from ScreenSteps version 1 to ScreenSteps version 2 then an Upgrade Serial Number dialog will appear after clicking Register (1). You will need to enter your version 1 serial number in the provided field (2) and click Register (3) in the Upgrade Serial Number window to complete the registration.